Medical device designers can protect surgical tool data from memory-disruptive, high-energy gamma radiation used in sterilization, while simultaneously providing tool security with capabilities such as secure tool use management and counterfeit prevention, with the DS28E83 DeepCover secure authenticator from Maxim Integrated Products. 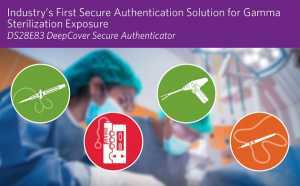 As the industry’s first secure authentication solution designed for gamma sterilization exposure, it enhances patient safety and includes both elliptic curve digital signature algorithm (ECDSA) and Secure Hash Algorithm-256 (SHA-256)-based cryptographic features. The 1-Wire interface allows for simple integration into designs. Medical device manufacturers commonly sterilize limited-use surgical tools or sensors through a gamma or e-beam process. High radiation exposure used in either process can disrupt and damage the standard, non-volatile memory (NVM) that electronic medical devices use for auto identification, as well as calibration and manufacturing data. This can jeopardize medical device data and patient safety, both of which are of critical importance for medical device manufacturers. 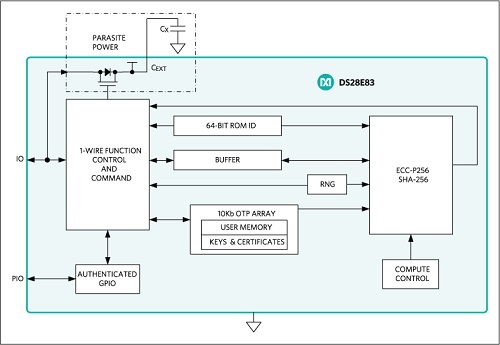 The DS28E83 secure authenticator integrates a radiation-tolerant NVM to prevent data loss during sterilization. With this capability, device designers can implement cost-affordable protection from unauthorized re-use and aftermarket device counterfeiting. By allowing electronic surgical instruments to undergo gamma or e-beam sterilization, the DS28E83 greatly enhances patient safety. 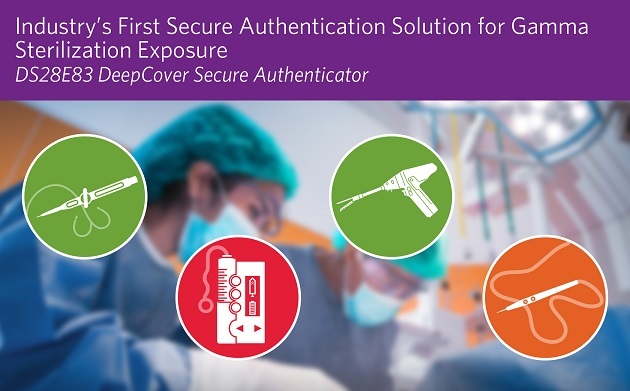 Authentication is implemented through industry-standard and application-efficient elliptic-curve, public-key cryptography to protect patients against the risks associated with non-qualified counterfeit devices or incidental re-use. The IC, which is easy to integrate into a customer’s design using Maxim’s single-contact 1-Wire interface, is applicable for medical surgical tools and sensor applications. 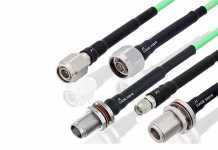 Easy Integration: Single-contact, 1-Wire interface enables one connection for data, signaling, and power while also reducing the number of components in designs for surgical tools with limited connections to the instruments.